Near the beginning of our trip to Japan, one of the Meiji students asked our group if any of us wanted to go to a baseball game. 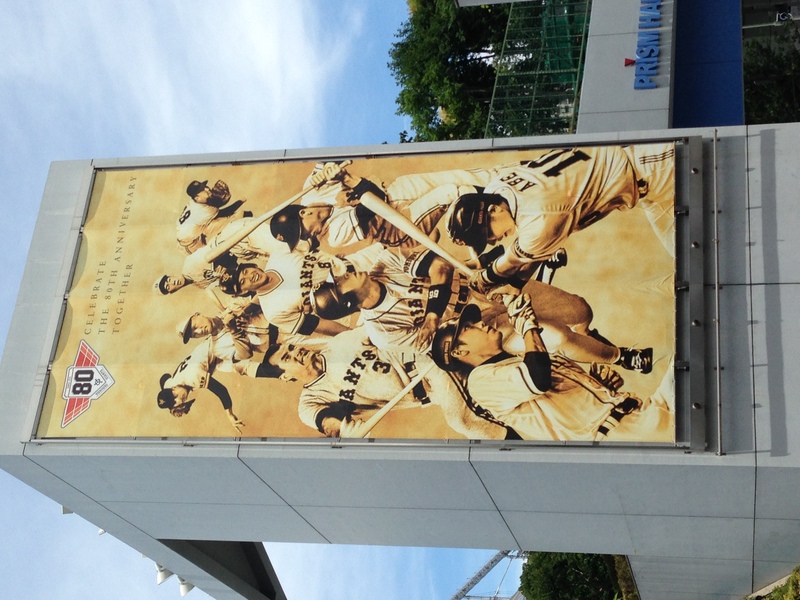 Of course I immediately said yes as I had heard from many friends that Japanese baseball games were extremely exciting and entertaining because the fans are so into the games. 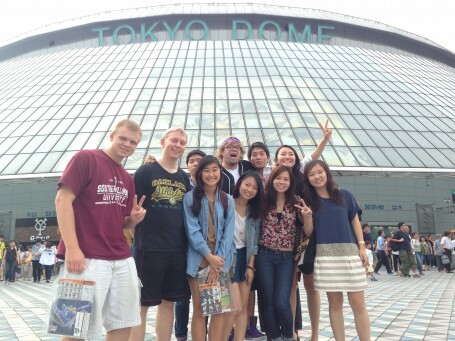 So, on Sunday, July 6th, Kenta, one of the Meiji student supporters, took a group of us to a game at the famous Tokyo Dome. 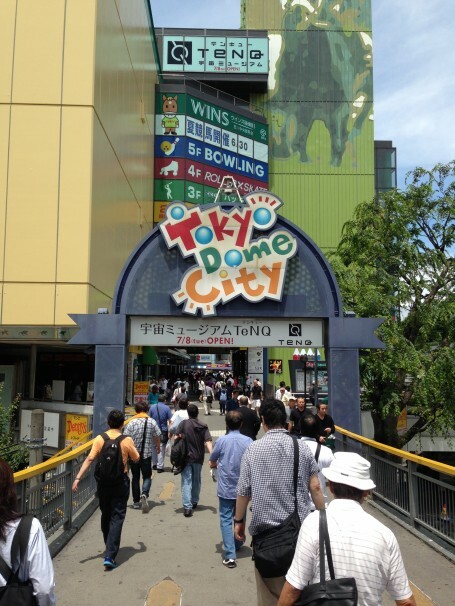 Because there is so much to do there, we actually arrived about two hours before the game started. 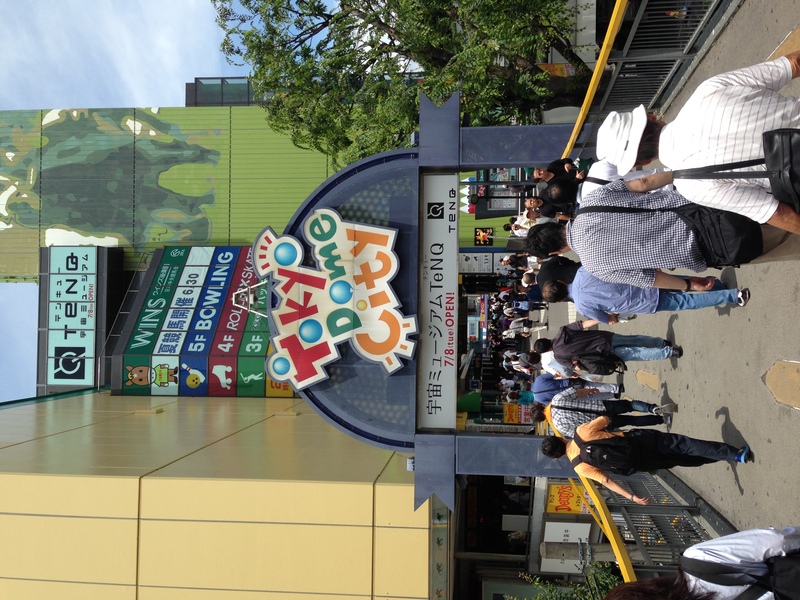 Upon arriving, we immediately went on the roller coaster right next to Tokyo Dome (fun fact: it goes 130 kilometers/hour!). 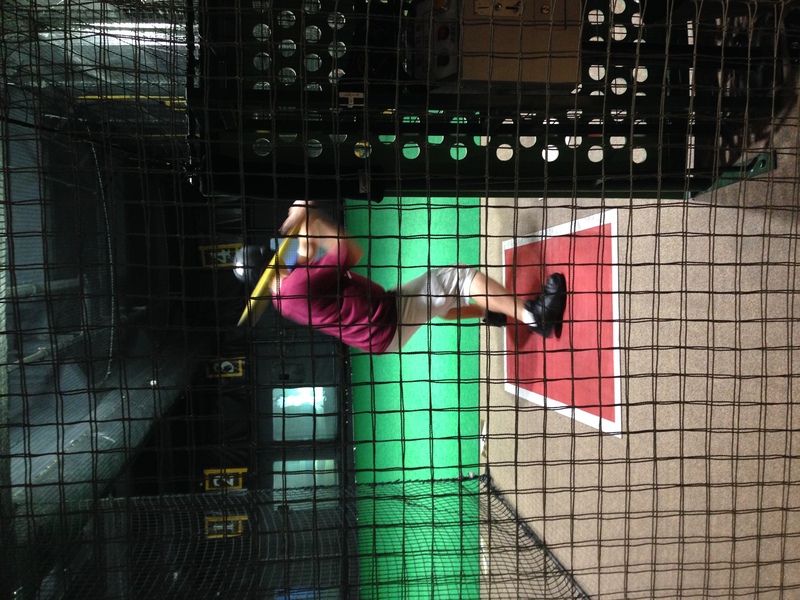 After that, because we still had some time before the start of the game, we decided to go to the batting cages. 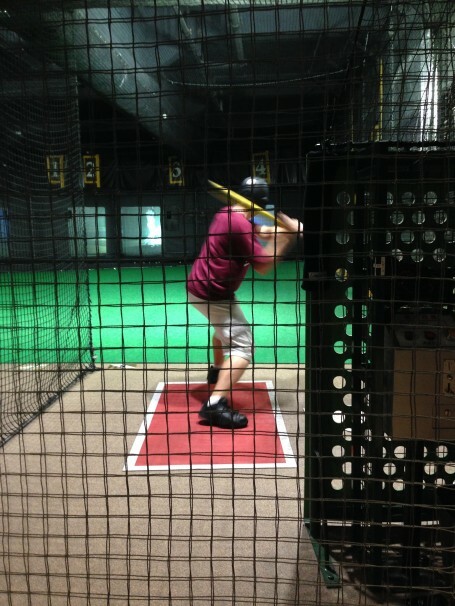 As someone who hasn’t played baseball in 13 years, I will admit this was a bit of a challenge, but it was still a lot of fun (even if the elementary aged children could hit more balls than I could). Soon it was almost time for the game to begin, so we went inside to find our seats. 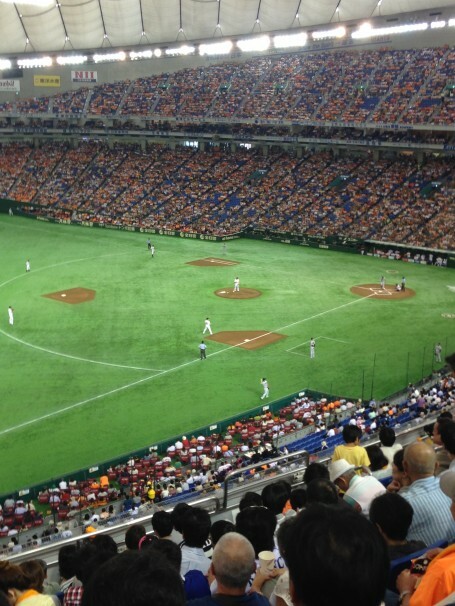 This game was between the Yomiuri Giants and the Chunichi Dragons from Nagoya (Tokyo Dome is the Giants’ home territory), and Kenta assured us it would be a great game. 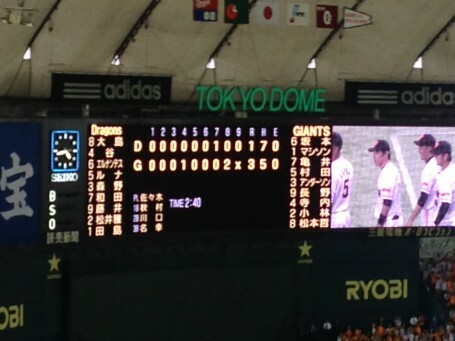 The first few innings were a little slow, but things began to slowly pick up, with the Giants scoring a double in the eighth inning to take the lead and eventually win, 3-1. 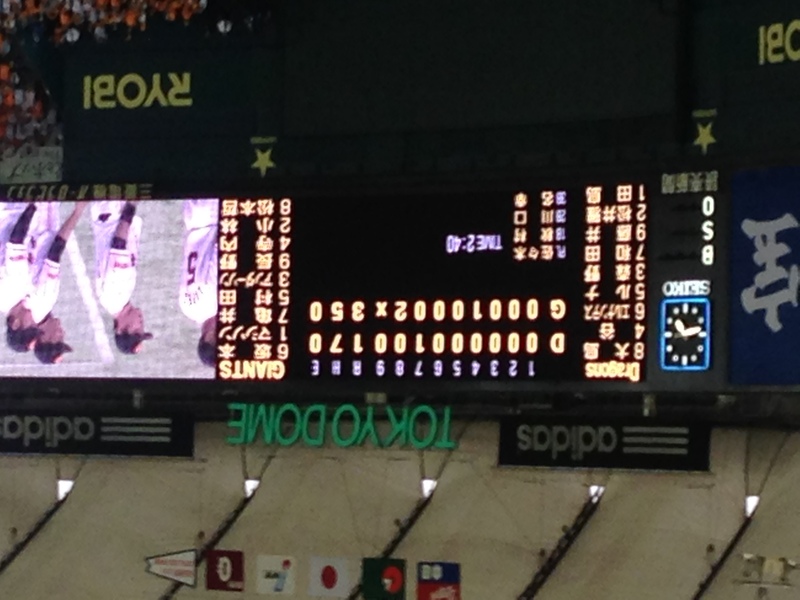 I was ecstatic that the Giants won, but my favorite part about the game was definitely the crowd. 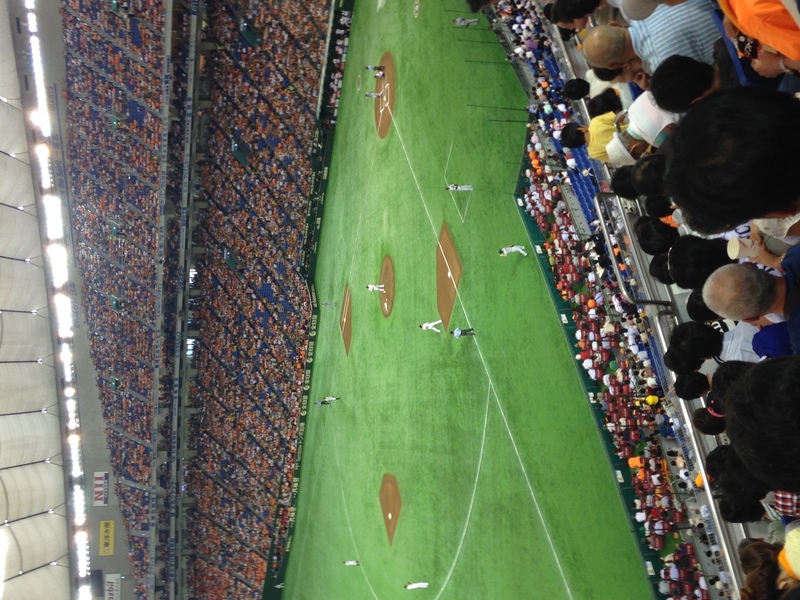 Every time either team was up to bat, the respective section of the crowd would be constantly chanting and cheering, with coordinated cheers for whichever member of their team was up to bat. 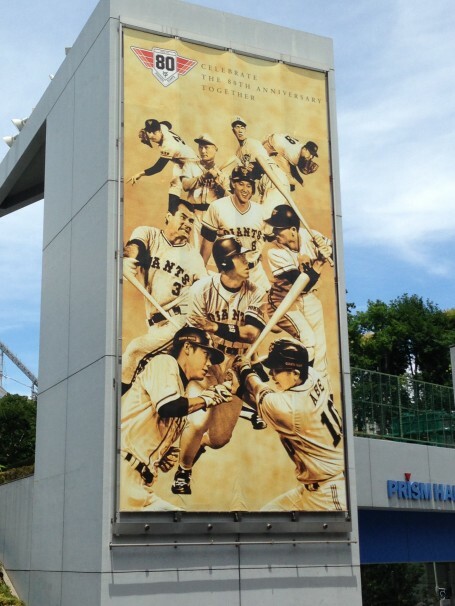 Their energy was infectious, and it made me want to go to more baseball games when I return to Japan.